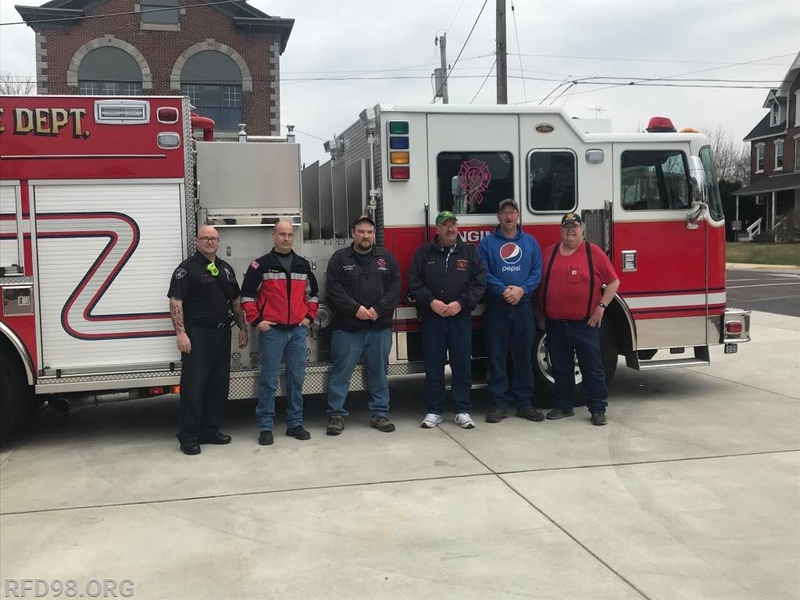 This morning Engine 98, our 2002 KME engine, left for its new home at the Dresden Volunteer Fire Department in New York state. 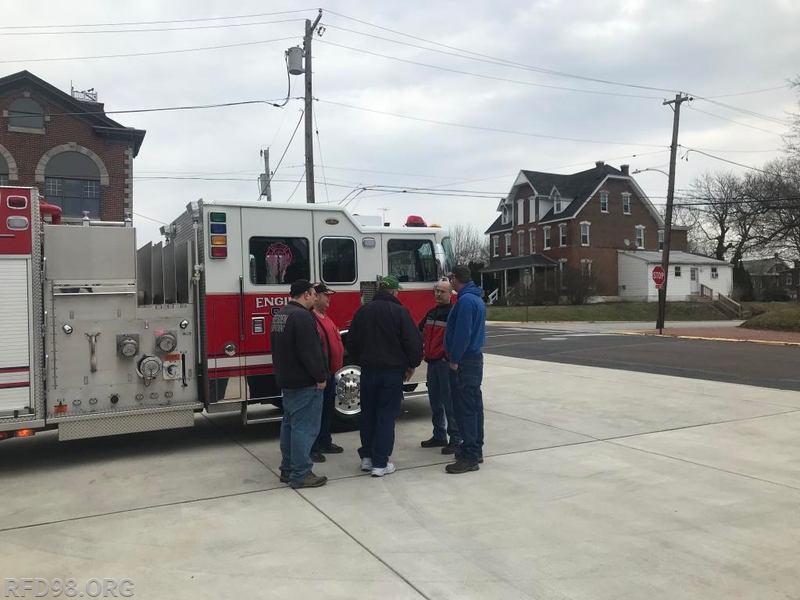 Just as it did in Royersford we know the engine will continue to serve the Village of Dresden and its members extremely well for years to come. Crews have spent the last handful of weeks removing hose and equipment to place on the new engine when it arrives later this year. 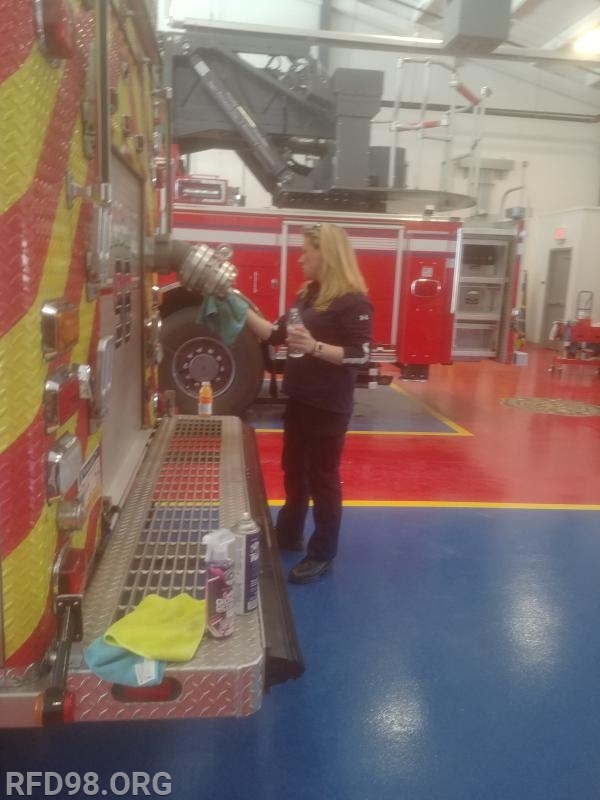 Our EMS division spent Thursday afternoon detailing the truck to make sure it looked great for its last ride through Royersford. 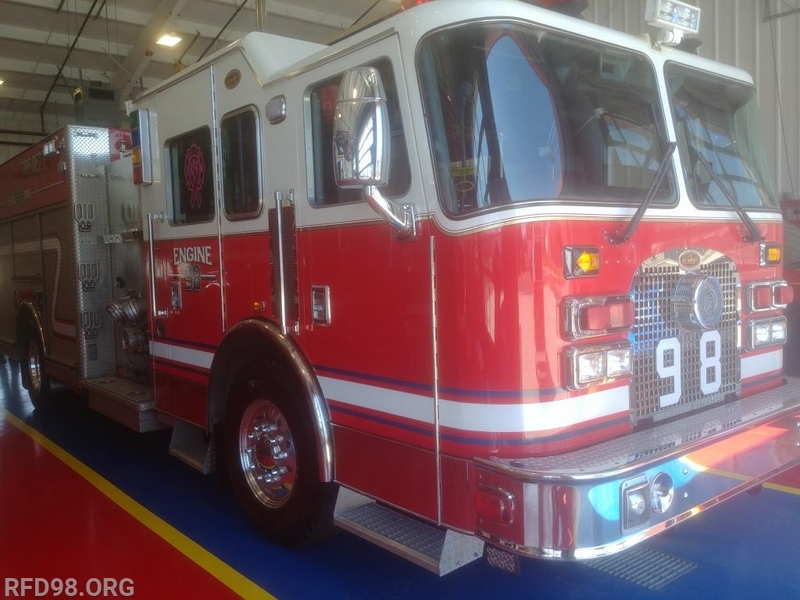 We would like to extend our thanks to FireLine Equipment and salesmen Robert Bainbridge for arranging the sale of the Engine. Check out Dresden Volunteer Fire Department on Facebook for updates as they introduce the engine into their community!